The Presidential Suite at Capella Washington, D.C. All photos courtesy of Capella Hotels. 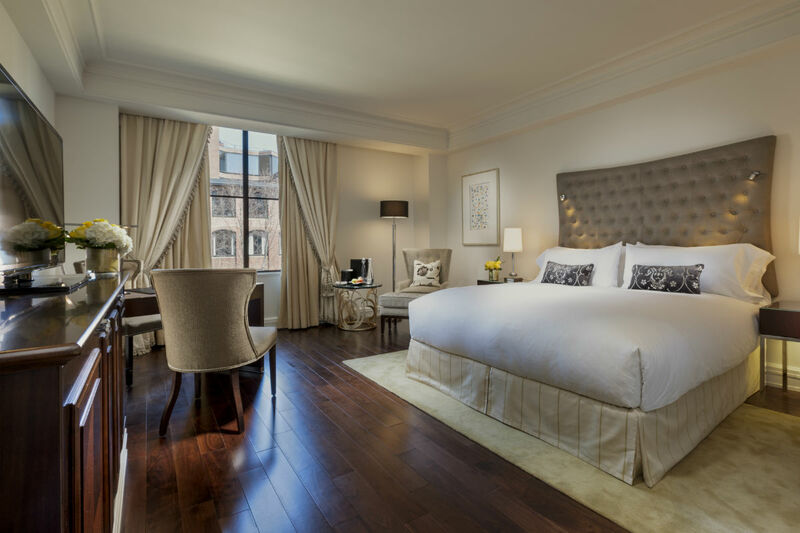 Capella is a charming new addition to the Washington, DC, hotel scene. Guest services are at a premium, and the staff knows how to make a stay feel special but never ostentatious. WASHINGTON, DC – It had been years since I’d spent any real time in , the quaint Washington, D.C., neighborhood of cobblestone streets and picturesque row houses, and I was pleased to see that it has retained its charm even as it’s been spiffed up in recent years. I went in expecting the M Street of my youth — a main drag cluttered with chain stores and tourists — and instead found a contender for my new favorite urban hotel, excellent restaurants, and quiet, atmospheric side streets at every turn. 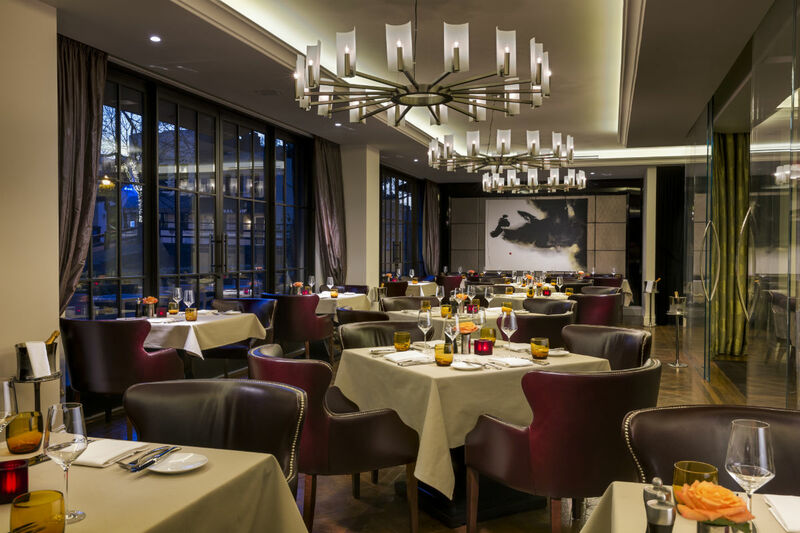 It used to be that a luxury stay in Georgetown was synonymous with The Four Seasons, a hotel long considered a DC power breakfast spot with a killer, central location. Now there is a new, design-led addition to the five-star hotel scene, the quietly cool just down the street. With 49 sumptuously appointed rooms, the high-touch, boutique escape is tucked away next to the historic C&O Canal Towpath. It feels like a luxurious homestay — albeit one with an excellent restaurant, a rooftop terrace with sweeping views of the Potomac, a state-of-the-art fitness facility, and a staff of knowledgeable personal assistants at your beck and call. I spent 24 blissful hours here and I can’t stop raving about it to anyone who will listen. There are so many special touches at Capella, and they begin from the minute you check in at — get this! — whatever time you choose. There is no need to request an early check-in or a late check-out because the management believes that their customer wants flexibility above all else. I tested the system by arriving at 11 a.m. and was whisked to my room without delay. There is no traditional registration. Guests are somehow knowingly greeted curbside and all paperwork is handled in a discreet, pleasant way in a casual living room setting. The property’s sleek, modern finishes, courtesy of designer Peter Sillig, include exquisite marble floors and paneling, parquet floors reclaimed from a European schloss, and a stellar contemporary art collection with works by abstract expressionists Edvins Strautmanis and Markus Lupertz and sculptures by English artist, Collin Reid, to name a few. From the Living Room, with its eighteen-foot ceilings, to the Grill Room, a destination restaurant, to the clubby, cozy Rye Bar that draws a discreet, local crowd, the Capella feels like a hidden gem. Yet it is mere steps from the bustling intersection in the heart of Georgetown, M Street, and Wisconsin Avenue. The private rooftop lounge at the Capella Hotel. The indoor/outdoor rooftop pool at Capella. The area is culturally rich — Georgetown University, The Kennedy Center, the Smithsonian museums — so, of course, you must leave the premises, but you will be hard-pressed to do so. Capella is just so peaceful, so cossetting, that it makes for a perfectly self-contained 48-hour stay. 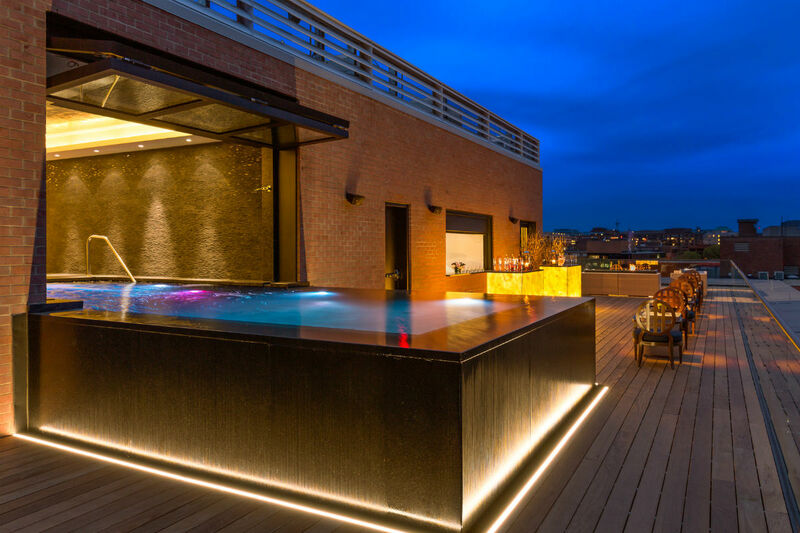 The private rooftop lounge has an indoor/outdoor pool and a fire pit. Rye Bar on the first floor offers an excellent selection of craft cocktails and rare whiskeys to whet the appetite for the Grill Room next door. The soothing dining room — all hues of grey and aubergine — serves breakfast, lunch, brunch (that must be booked well in advance), and formal dinner. I found the fitness facilities to be sufficient — an elliptical machine, a treadmill, and a bike overlooking the spires of Georgetown University and the National Cathedral. The truly motivated can go to a yoga studio and a more comprehensive gym nearbby. There is no spa by design, as the management decided that in-room services were preferable for their clientele, but everything, from a simple pedicure to a haircut by noted stylist Luigi Parasmo, can be arranged with a few hours notice. Resident stylist April Yvonne is at the ready if the need arises for a frock to wear to the Kennedy Center or for after-hours access to Neiman Marcus. A personal assistant on staff specializes in cultural experiences like walk-on roles for children at The Washington Ballet and behind-the-scenes tours of Mount Vernon. In short, every request can be accommodated. Perhaps the biggest on site asset is Jason Denby, director of guest relations, who is incredibly attuned to his guests’ needs and knows how to make a stay feel special but never ostentatious. The Grill Room restaurant at Capella. One of the stars of the show at Capella is , a modern European restaurant with floor-to-ceiling windows overlooking the C&O Canal. Outdoor seating (with wool blankets and heat lamps when it’s chilly) lend it a European vibe, and executive chef Frank Ruta (formerly of the White House) creates everything from a terrific burger with shoestring fries to a refined Dover sole with passionfruit sabayon, leeks, and pea shoots. Familiar comfort foods — a wedge salad, thick cut pork chops — are thoughtfully tweaked and paired with delicious sides like oven-roasted potatoes and root vegetables drizzled with a warm anchovy balsamic vinaigrette. A private dining room that seats up to eighteen guests is set like a glass-walled library at the center of the restaurant and would be a wonderful place to host a special event. Light bites — plates of salumi to share, artisanal cheeses, and freshly baked chocolate chip cookies — are available in The Rye Bar. Oh, and room service delivers a mean pasta Bolognese, as confirmed by my hungry teen who ordered it at an insane hour. All the rooms and suites have a separate sitting area with desk, a soaking tub, flat screen TVs, h beds, and comfortable furnishings in shades of cream and grey. Spacious bathrooms have two sinks, plentiful mirrors, and rainfall showers and some have canal views. Other thoughtful touches include free WiFi, beverages, and newspapers of choice, as well as coffees, teas, and Keurig machines for brewing at all hours. I stayed in a superior king room, a spacious 420 square feet overlooking 31st Street and the hotel entrance. This doesn’t sound lovely, but it was surprisingly quiet and there was abundant light. I liked seeing the small Italian restaurant across the street and the Potomac River in the distance. 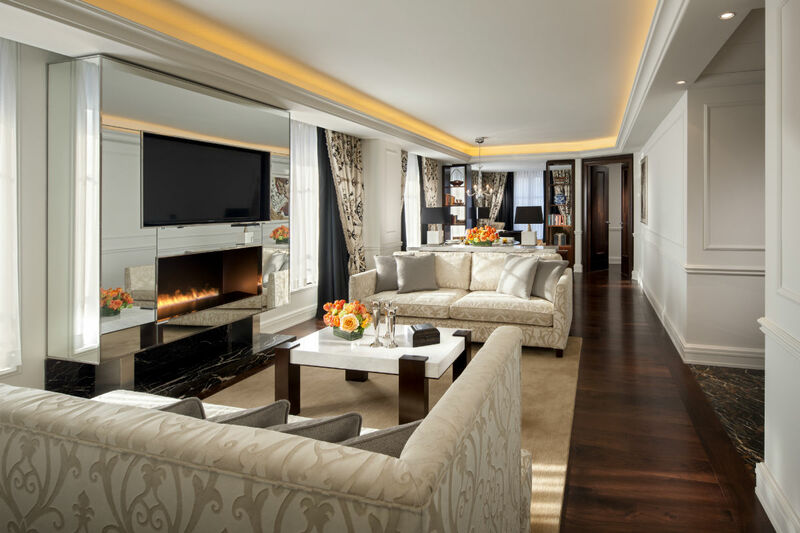 In an ideal world, I’d love to stay in one of two 1,200 square-feet Presidential Suites ($7,000 per night) for the full living rooms, stocked pantry areas, fireplaces, and, yes, the expansive views. 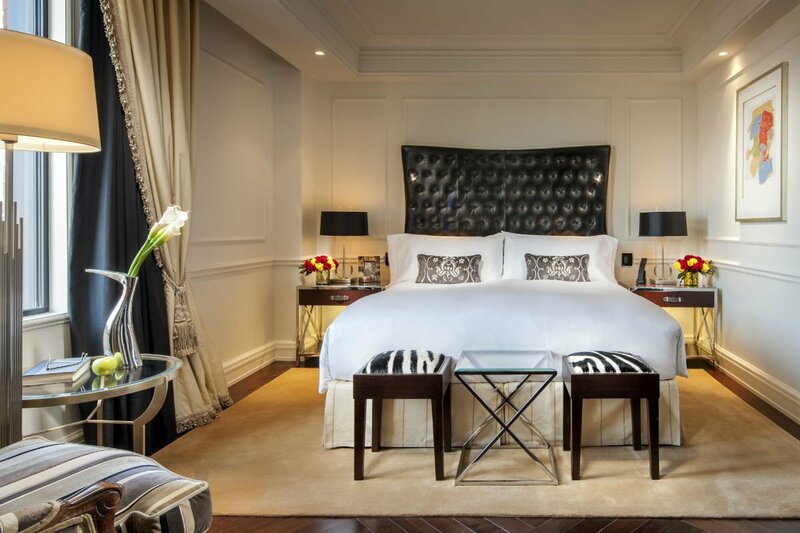 Business travelers, parents dropping kids off at Georgetown University, foodies, families who need large suites and interconnecting rooms, and couples looking for a romantic getaway. Capella has seriously wide appeal, and can work for a solo traveler as well as it did for the multi-generational family celebration that prompted my visit. Anyone looking for a scene or travelers who like a sprawling hotel with all the bells and whistles. Superior king rooms start at $495 a night. Georgetown is a bustling, walkable, college town. Get out and enjoy it. One block from the hotel is busy M Street, which has all the basics: pharmacies, Dean & Deluca (excellent spot for picnic provisions), lots of shops. A few more blocks away are N and O Streets, with their sweet, historic brick homes and well-manicured trees. Still further is , a stately house museum with gardens that makes for a great wander before hitting the Georgetown University campus at the corner of 37th and O Streets. DC’s biggest annual events are the , which begins at the end of March and is an occasion for an array of cultural activities as well as beautiful blooms, and the from the Mall, which some of the best in the country. 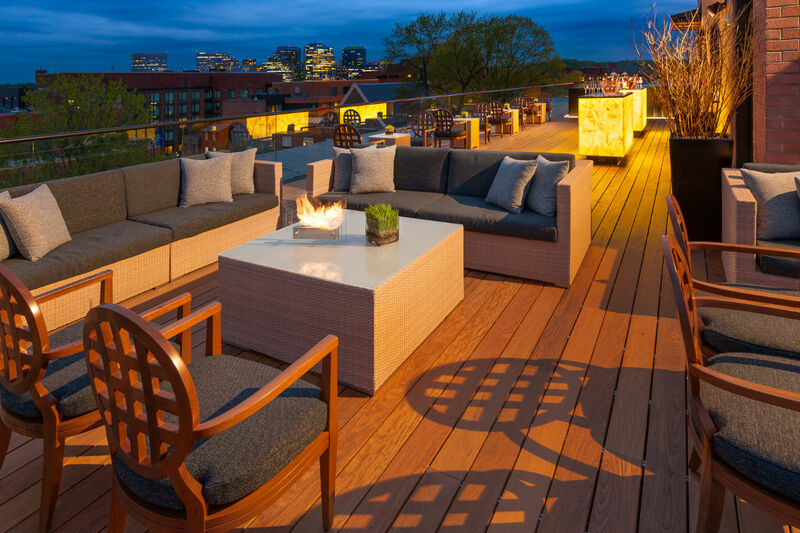 July 4 guests will have a perfect, calm vantage point — cocktail in hand — from the Capella’s rooftop terrace. Food is a major area focus. Nearby in Georgetown Harbor serves incredible Italian seafood along the Potomac. is a lovely spot for an intimate French meal. is the go-to for all kinds of crudi. in nearby Dupont Circle serves simple Italian fare in a charming townhouse setting. offers a traditional kaiseki experience. Gourmands should take advantage of Capella’s ability to score a reservation at , molecular gastronomist José Andrés’ superb but tiny restaurant that offers a multi-course, fully immersive dining extravaganza. Consult the to avoid Parent’s Weekend and graduation. Also, get comfortable with taxis and walking everywhere, as the DC Metro doesn’t stop in the vicinity. The Capella is a fifteen-minute taxi ride from Union Station (Amtrak) and Washington Reagan International Airport. The hotel’s personal assistants are very good at gauging traffic patterns and arranging taxis accordingly. When possible, they will have you driven in the hotel’s complimentary car that waits outside. Parking in this part of Washington is a nightmare, so it’s best to explore the area on foot. Excellent restaurants, the scenic C&O Canal, the Georgetown University campus, and the particularly lovely N and O streets are all just a few blocks away. Locals Know Best: Eating Out in D.C.
Just Back From: Washington D.C. Three-Day Weekends From Washington D.C.